CTV > News > Services > Acquired, Information Technology > Moss Software, Inc.
Moss Software, Inc. develops, markets, and supports a complete suite of Customer Relationship Management (“CRM”) software applications to increase the efficiency and effectiveness of medium and large global organizations. Moss Software’s products include customer relationship management solutions that address broad functional areas, such as field and inside sales, as well as industry-specific application modules. 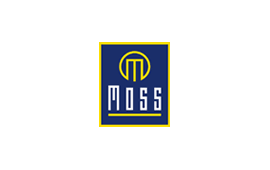 Moss Software was acquired by E.piphany, Inc.